1. Breading - Dave said he heard of this new thing called 'breading cats'. Well, it just so happened that someone had brought a lot of extra bread to church so we thought we would put it to good use on Static (our cat wasn't around at the time). We cracked up laughing! She would tried to chomp on the bread but couldn't because ... well you can see why =). Milo is next! Would you do this to your pet? 2. 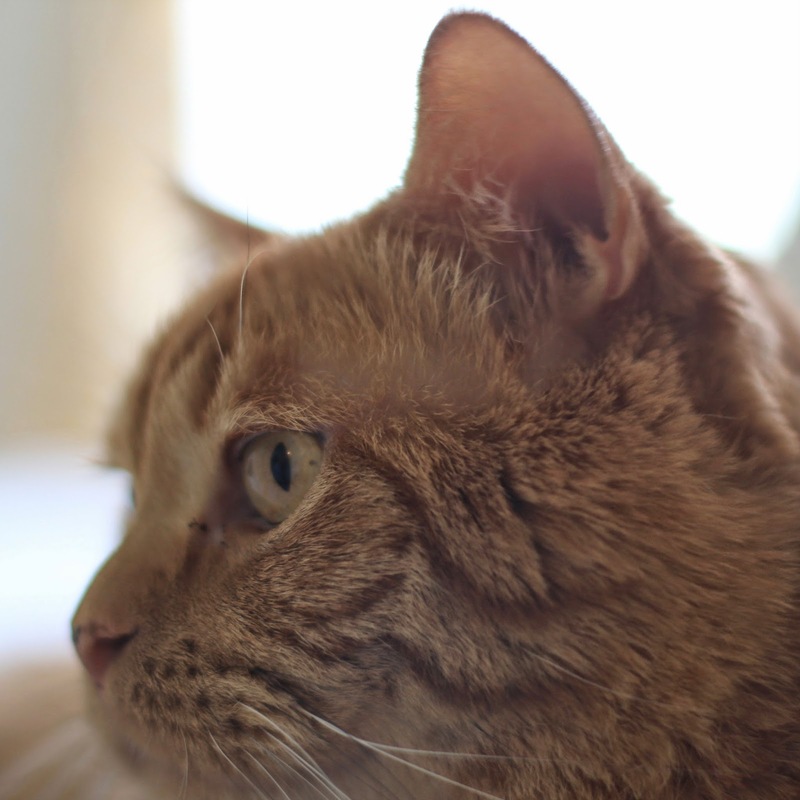 Milo - Because of moving overseas I knew Milo would have to find a new home. I've been dreading finding him a home because he is a unique cat and has to be an only pet. Also, I'm super attached to this little guy so letting him go will be hard. However, God has sent the perfect person to take Milo. It's a nice lady who is looking for a companion cat. I'll be giving him away in a couple of weeks and I'm thankful he is going to a good home. However, before we give him away we will be breading him! 3. Tomatoes - They are one of my favorite foods! My grandpa used to have a massive tomato garden and when I was a kid we would sit on the big swing and eat tomatoes. He would eat tomatoes as if they were apples and I'd eat the cherry tomatoes. All that to say that a local farm here had 600lb. of tomatoes! I got a whole bunch and they have been so delicious! What's your favorite summer produce? 4. Jamberry - I have a new obsession you guys! 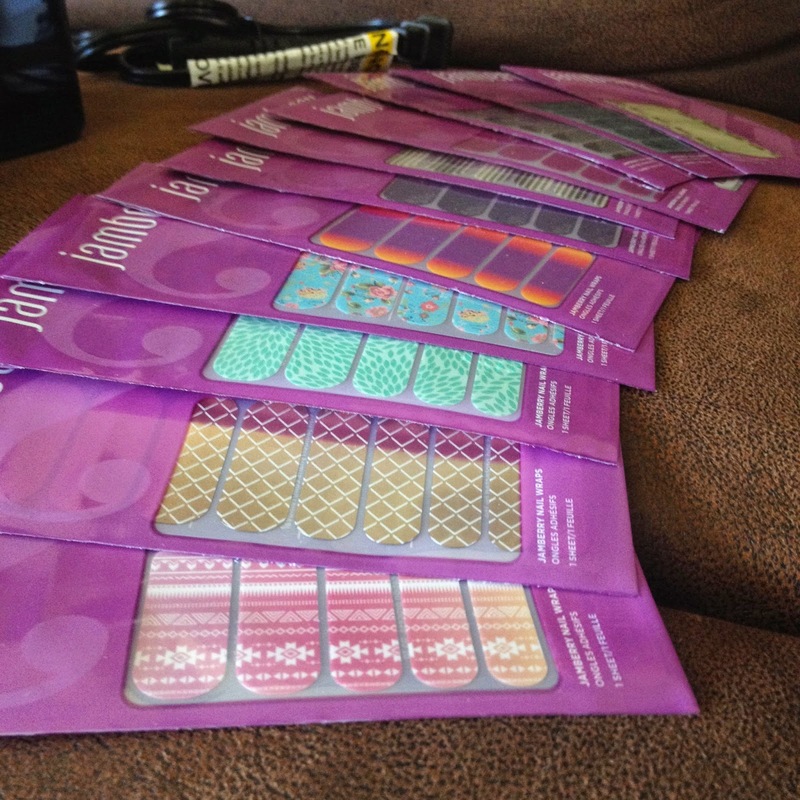 I hosted an on-line Jamberry party and got 11 sheets of nails. That means I have 22 manicures which will each last me two weeks. I'm excited! Have you ever tried Jamberry? 5. Blogger Friend Hangout - Last week I went to OKC to hang out with Amanda (The Lady Okie). We have become good friends over this past year and occassionaly we will get together to hang out. I'm so thankful for her and our friendship. This time we rode bikes and walked around downtown OKC. We also exchanged b-day gifts and check out this awesome gift! 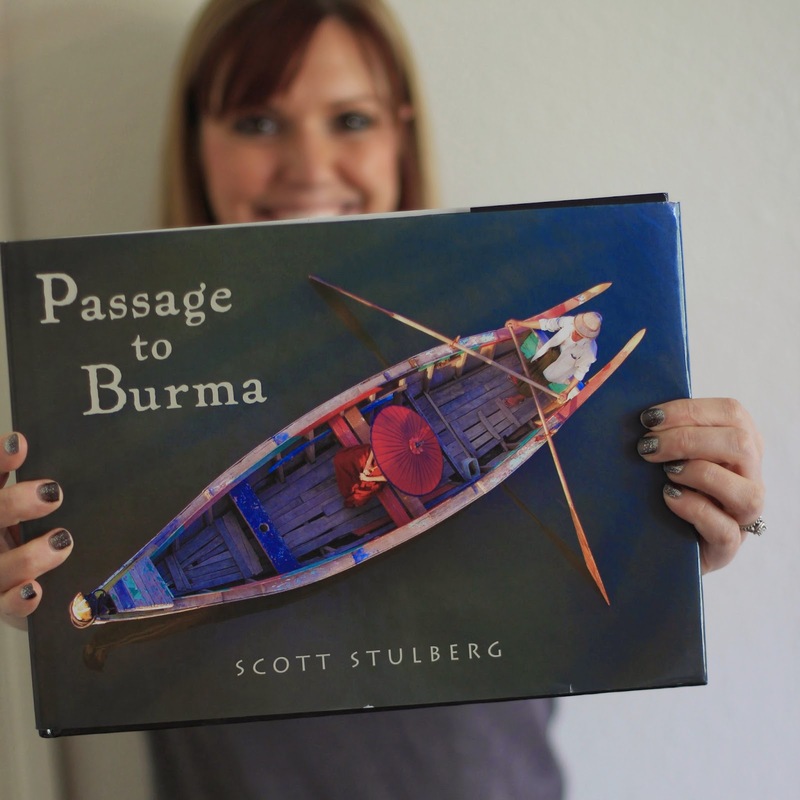 It's a coffee table book all about Burma. The pictures in there are beautiful and I just love it! It makes me more excited to move over there. Also, I ordered some super cute bags from Samantha for Christmas gifts for people. You should check out her shop. She has really cute pouches as well as great blogger resources. How has your life been lately? Are you enjoying these last few days of summer? so neat that you & Amanda have become real life friends! that is really sweet of her to get you that book!! Breading! haha. I've seen/heard of it and it makes me laugh every time. I remember growing up and going into my grandparents garden, the smell of tomatoes always brings back those memories for me. Woo! I'm glad you like that book :) And I'm glad we could hang out! I'll be praying for your anxiety to calm as the time to move gets closer. It's such an awesome thing you're doing! Never heard of breading before... ha! Our dog is so obedient! We have made her hold a raw piece of meat in her mouth while we take pictures. She just sits there patiently waiting. She rocks! I'm super glad me and Amanda have become real life friends too. I never in my wildest dreams thought I'd start a blog and make so many friends! Oh my goodness, the breading! Baha, I'd totally do that! 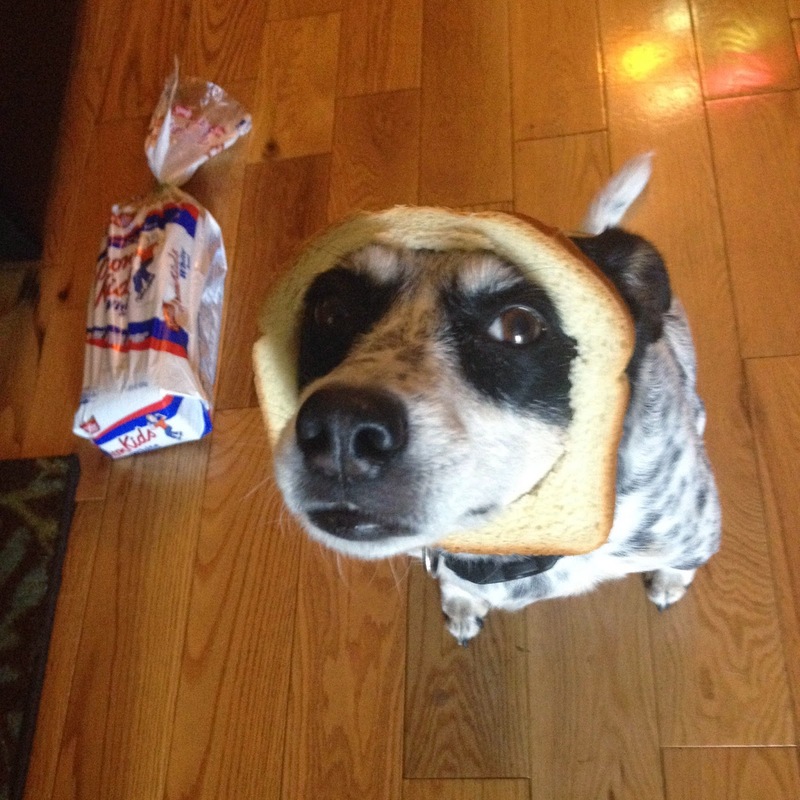 These breading pictures are hilarious. I think my dogs would go NUTS if we put food that close to their faces and they couldn't eat it! I personally haven't tried Jamberry (I do my fingernails maaaybe 3x/year) but my cousin is hosting a Facebook party for them so maybe I'll win some sheets and give it a shot! I've been stressed before about just going on trips, so I can't imagine the feeling of preparing to move abroad for a long period. Even though I haven't been there, I will say that you've done it before, so you know you have the courage and strength to do it again! You seem very passionate and convicted about the work you'll be doing, which certainly helps. I'm glad you love the breading pictures! I took a whole bunch of my cat yesterday when we breaded him. Both our pets were surprisingly tolerant of it. You will have to let me know what you think of the Jamberry nails. Did they send you a sample? If not, I have a bunch and I'd be happy to send you one =). Thanks for your words of encouragement about our big move. You are right that I have done it before so I can do it again! I just forget that when I'm in the thick of planning and packing. I appreciate you! I didn't get a Jamberry sample but I would not be surprised if a party came around again--thank you for the offer, though! I am excited to hear more about your move! I'm so jealous you got to hangout with Amanda! I think she is the best! Any time I'm in Joplin, I always wish I would make time to drive down and see her!